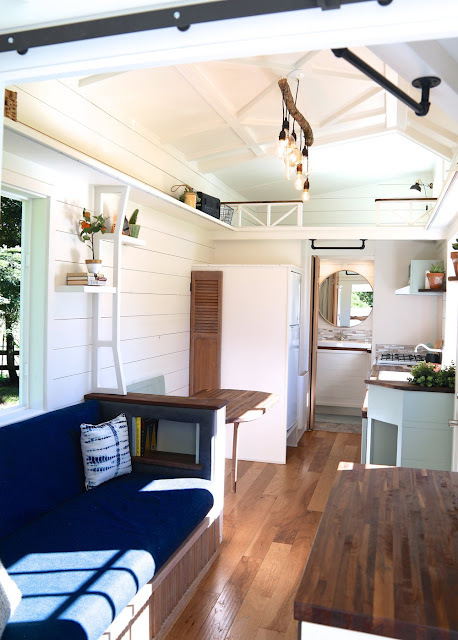 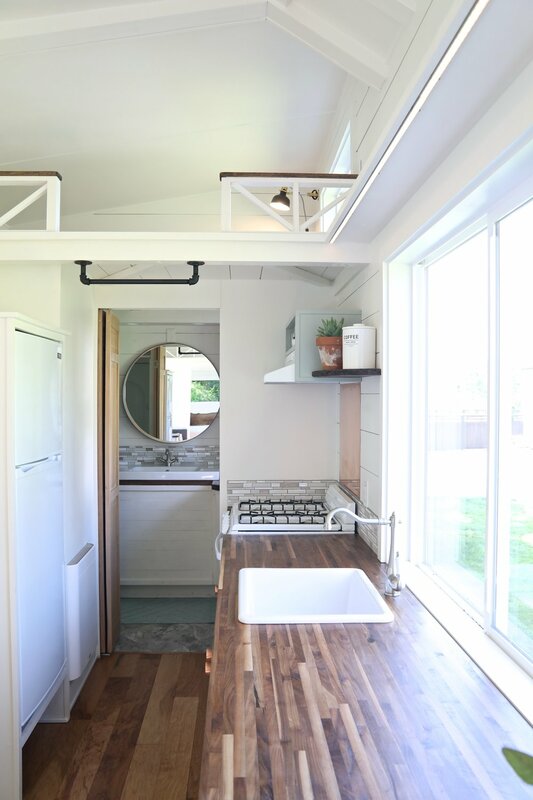 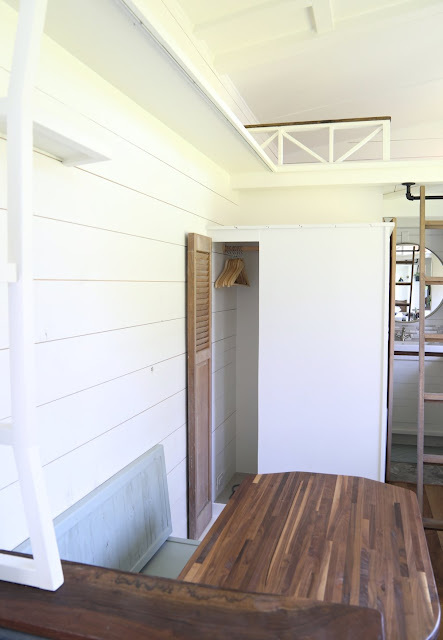 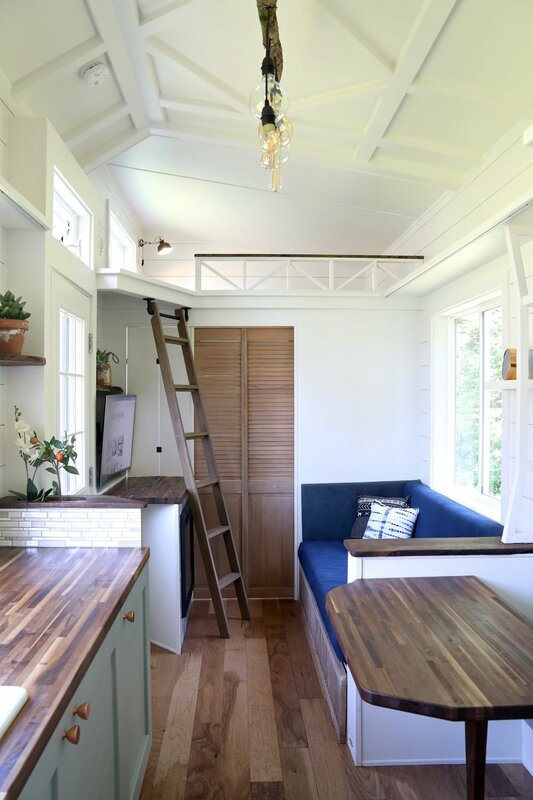 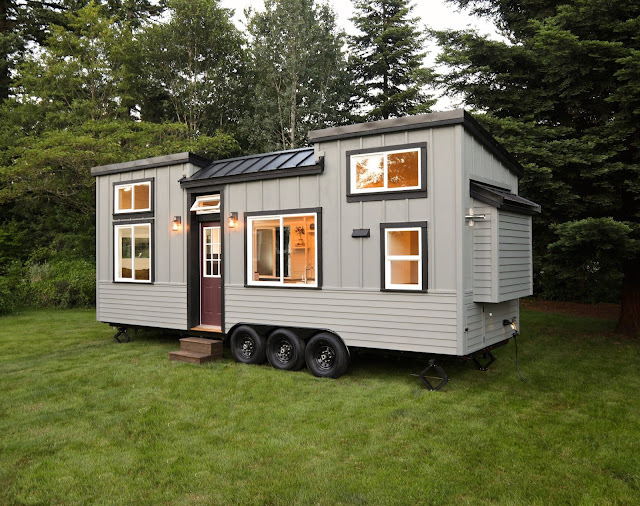 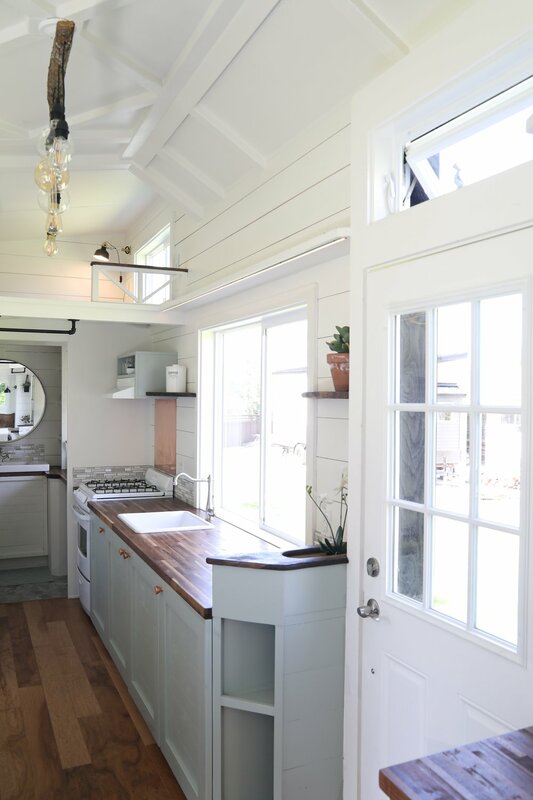 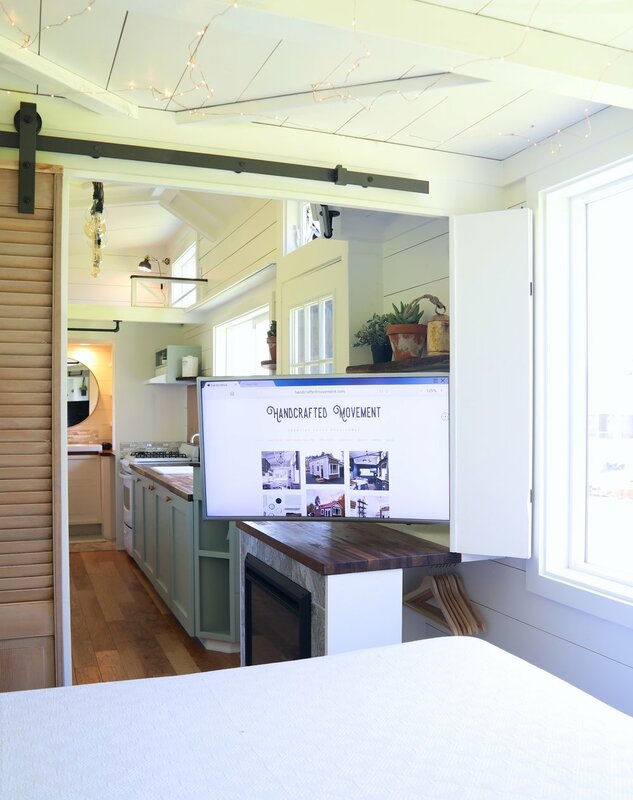 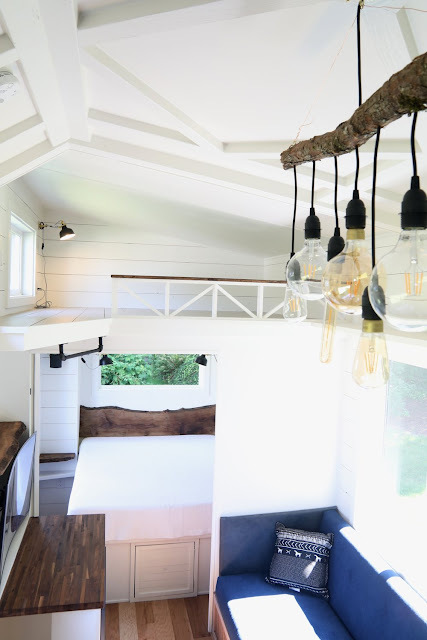 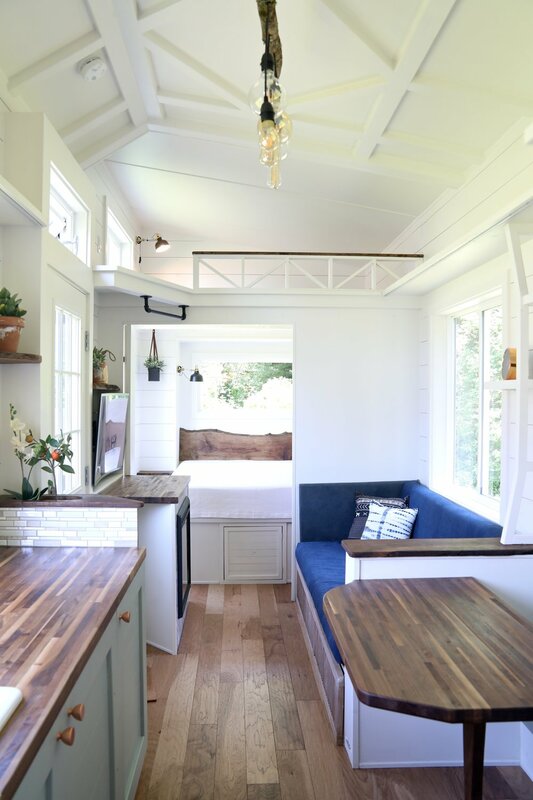 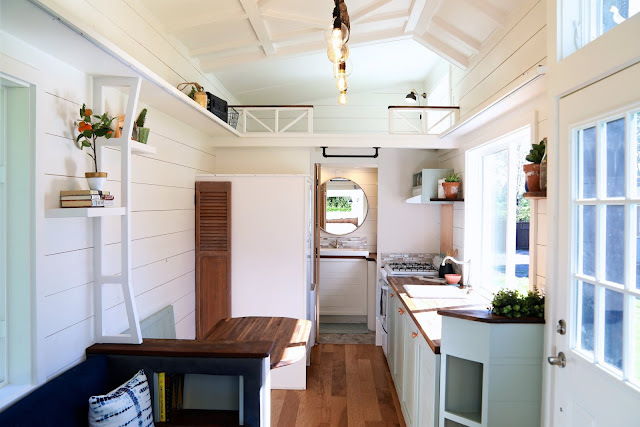 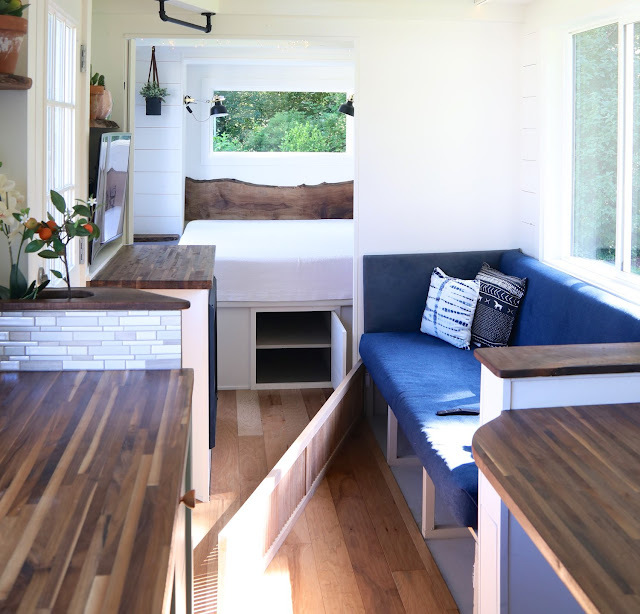 Handcrafted Movement, the builder of many reader-favorite tiny houses, has just debuted its newest tiny house, the Pacific Pioneer! 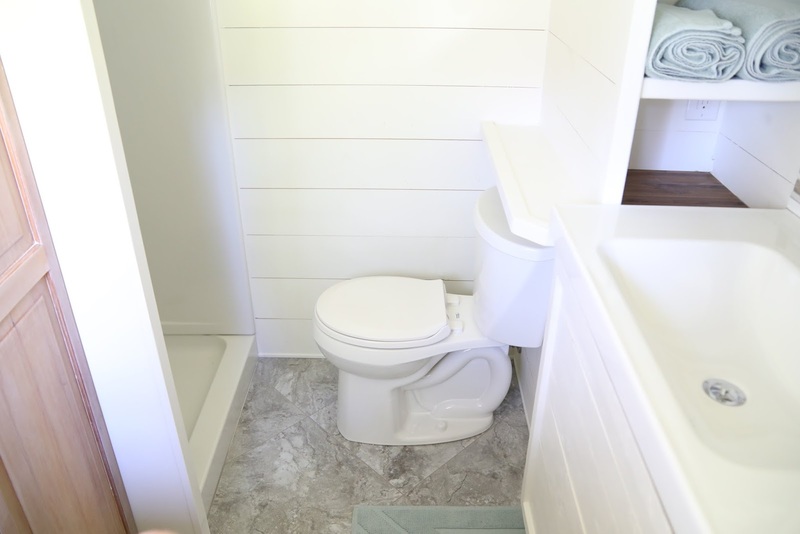 The home measures 28' x 8.5 and features an eye-catching board and batten siding with Pacific cedar accents, and a standing seam metal roof! Inside features a beautifully designed and functional layout with the capacity to sleep up to seven people! 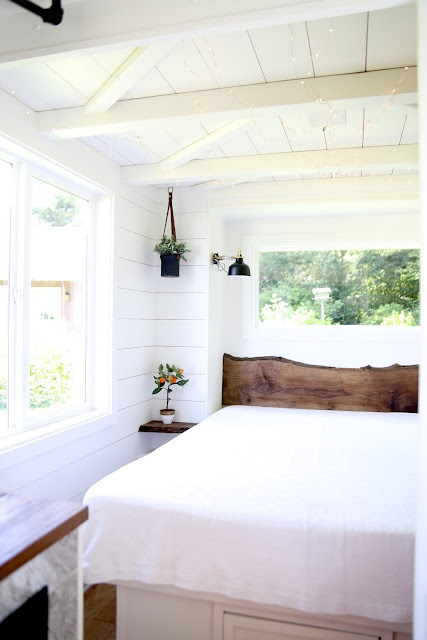 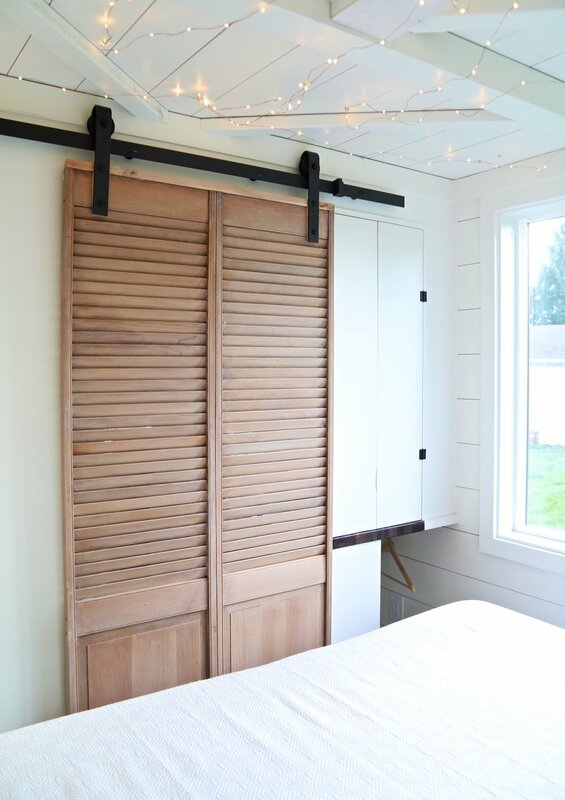 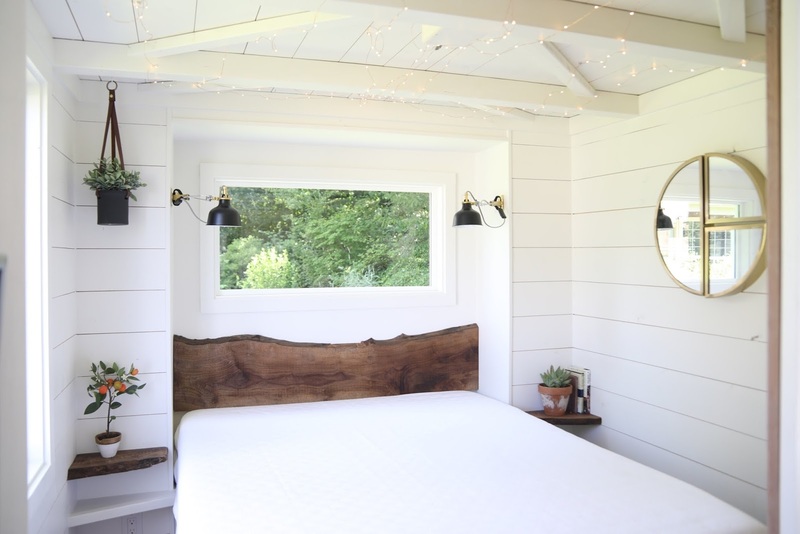 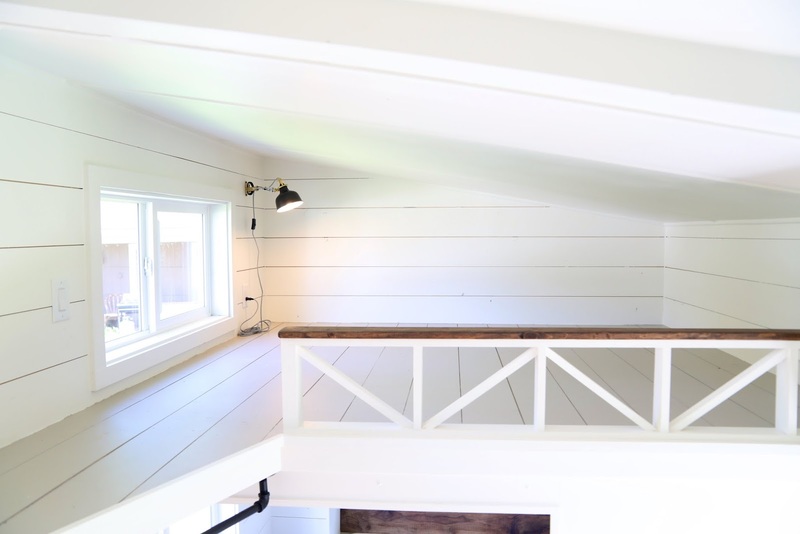 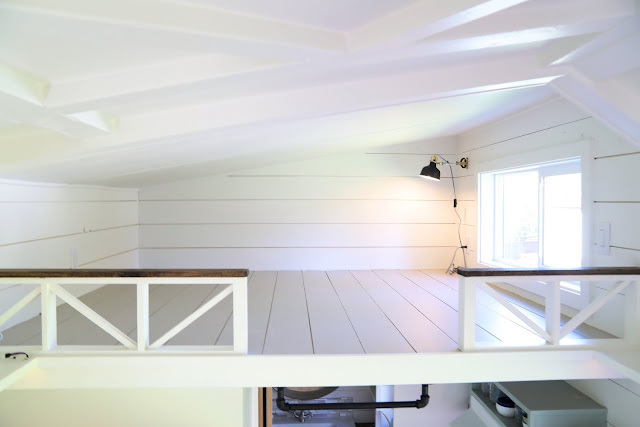 The master bedroom is located on the main floor, through a sliding barn door. 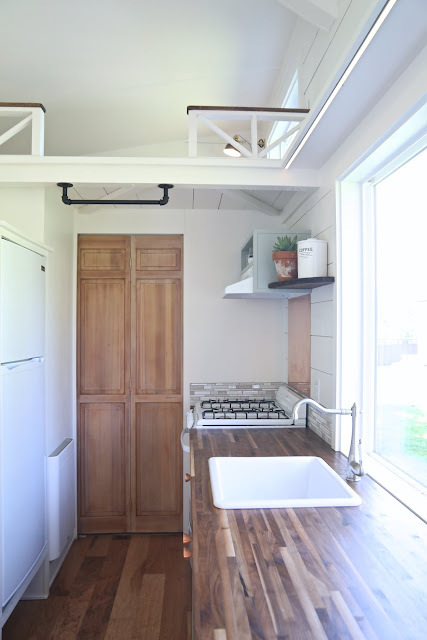 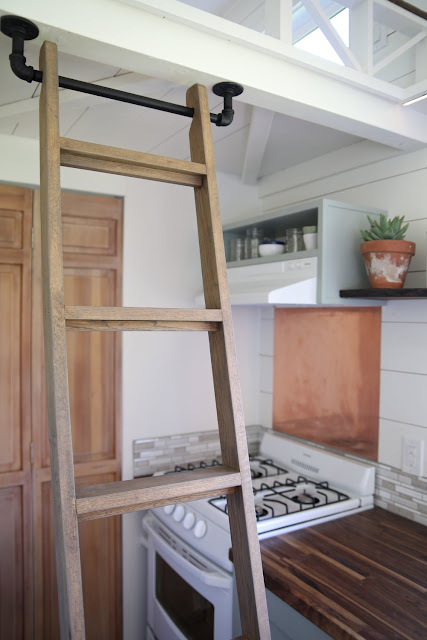 The kitchen features walnut butcher block countertops, a 24" four-burner LP gas range, an exterior vented hood fan, and a fridge/freezer. 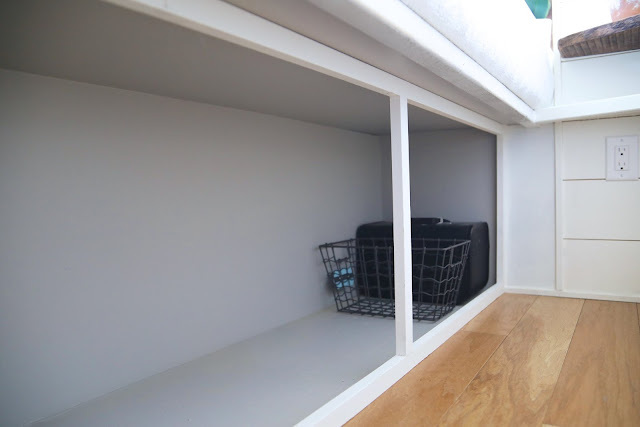 There's also a built-in dining area with room for four people. 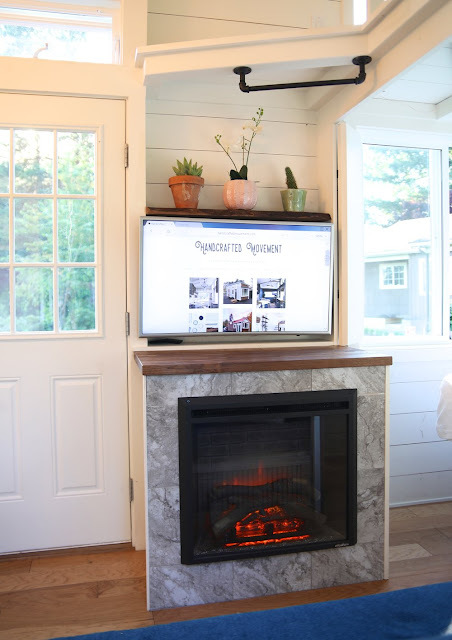 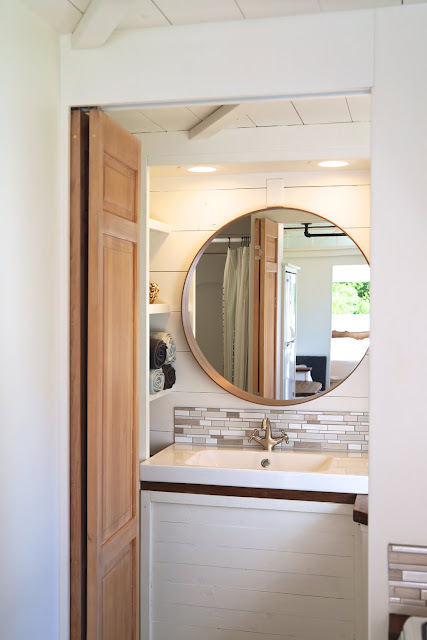 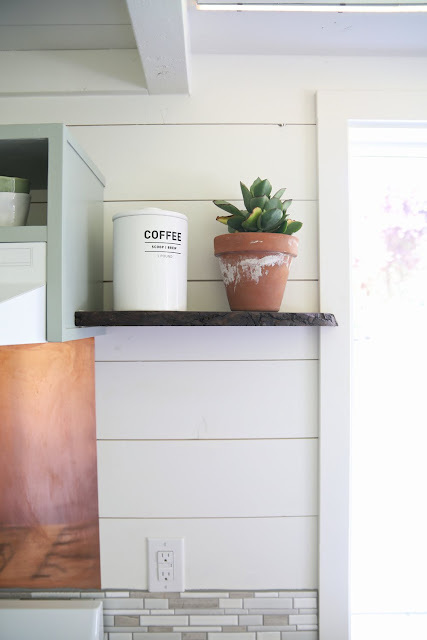 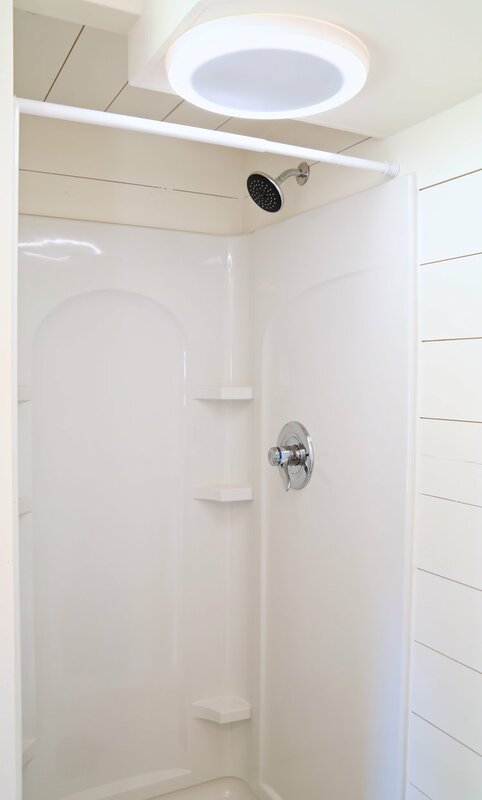 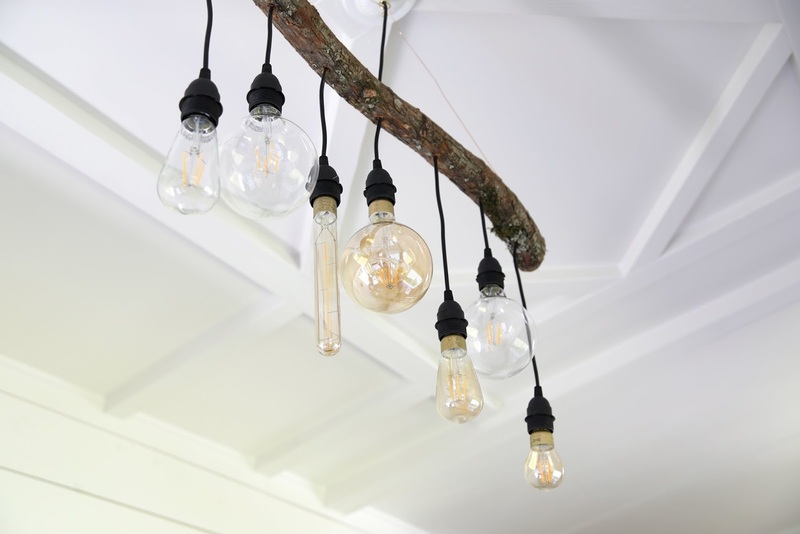 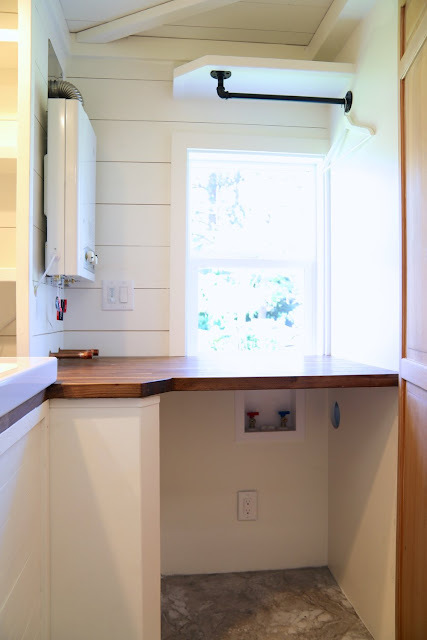 Also included in the space is an abundance of storage, a hookup for a washer/dryer unit, a bathroom with a vanity, an electric fireplace, and hickory flooring throughout the house. 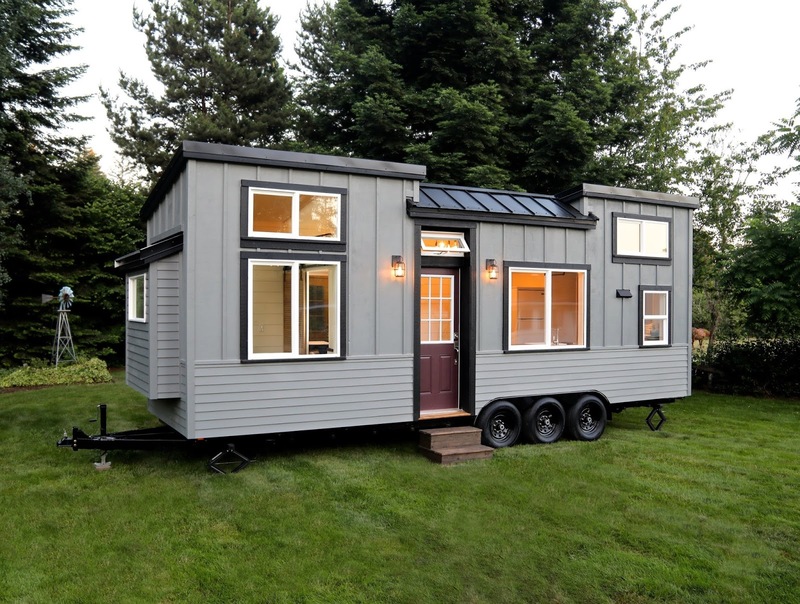 The Pacific Pioneer is currently available for sale in Battle Ground, Washington, and priced at $77,000. For more info, contact Handcrafted Movement here!